At this point I’m not sure how things could get any worse for Erica Reed. Six years ago she lost her brother to a ruthless killer, and more recently, gruesome events involving dismembered body parts occurred (no, really). Surely this is as bad as it gets, right? Wrong. 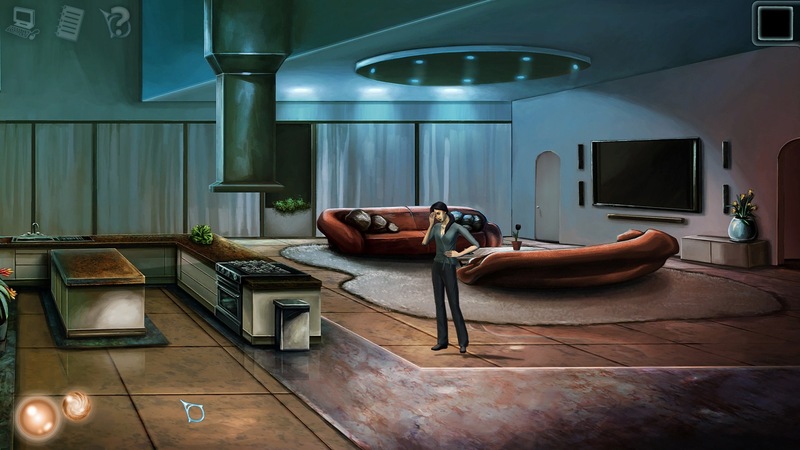 Cognition Episode 3: The Oracle has barely begun before another mysterious case is thrown into her lap, triggered – to some extent – by her partner calling to say he’ll be out of touch for a while… to check up on some old business. Yeah. Cue dramatic music and crank it up to eleven, because you-know-what is about to get real. Early on it might seem like we’re in for some by-the-book police work, an unnerving crime scene in front of a fancy-pants hotel. But we’re dealing with Erica Reed here… that’s obviously not the case. Wouldn’t make for much of an adventure anyway, playing as an FBI agent with psychic powers, only to have her handle ‘typical’ cases, ya know? And you better believe said powers are going to play a large role in this one, for better or worse. See, having a bit of a ‘second sight’ is an undeniable benefit when trying to solve crimes, no doubt about that, but what if you see things you weren’t meant to? Or rather, things that made you want to do something that completely throws logic and common sense out the window. That’d be bad. Really bad. Unsurprisingly, that’s exactly what we’re dealing with her as Erica – for some reason – loves to throw the rulebook out the window during investigations. Thing is though, sometimes, a case is so complex and deep that you need to not give a damn and just do whatever it takes. Even if that means stepping on a few toes along the way, taking things that don’t belong to you, grilling seemingly innocent people for details and such. Come to think of it, that’s pretty much how the Cognition series has been up to this point, and honestly, it’s all the better for it! That said, Erica’s hot-headed attitude is bound to get her in trouble with the bureau from time to time, but darn if doesn’t make for an interesting protagonist (on top of cracking cases noticeably faster than someone limited by the silly notion of rules and regulations). Now, Cognition being a point ‘n click adventure series and all, you’d think there’d be things like puzzles and dialogue trees, and… well, you’d be right (surprise!). Oh, and inventory puzzles, because who doesn’t just love those? Nothing overly convoluted though, unlike that of certain Sierra/LucasArts classics. Just a little ‘combine item x with item y to make magic happen’. For the most part. Unless her powers of deduction are needed, in which case things get a tad more complicated – and supernatural. And by ‘powers’ I am of course referring to Erica’s psionic abilities. 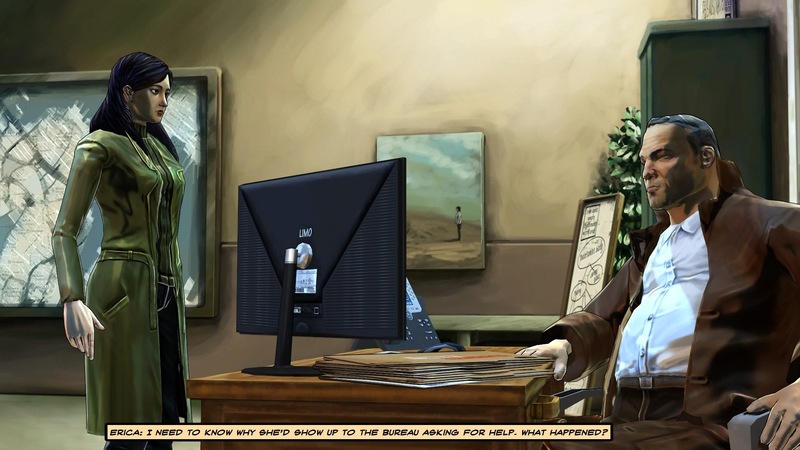 During the course of the first game, Cognition Episode 1: The Hangman, her gifts were – for lack of a better term – underdeveloped, leaving her with little control over them and even less use. All that changed in the second game, and in this one, we’re treated to yet another ‘evolution’ of sorts. One which ties directly into a large portion of the puzzles of The Oracle, an ability so powerful I can’t help but think it’s only a matter of time before our poor protagonist loses her mind. Or herself. Or something along those lines. Too vague? Well, let me put it like this: up to this point, Erica’s supernatural manipulations have been limited to indirect actions. That’s no longer the case however, as now… she’s able to… well, ‘control’ her visions as it were. Not entirely of course as that’d just make for a much too complex design. It does allow for some genuinely creative interactions/puzzles though, enabling the player to go beyond merely combining items in the hopes of triggering a memory or investigating parts of the scenery for clues. Not that her prior abilities didn’t make for an interesting experience, mind you, but this added level of interactivity makes for quite the leap in what’s possible, how everything accessible to Erica can be examined, and other fun… effects. In other words, she’s one step closer to unlocking her full potential as a supernatural FBI agent. Kinda makes me wonder what the fourth and final episode is going to bring to the table. But I’m getting ahead of myself, so let’s get back on track. Back to the case at hand, which takes place almost exclusively in a ridiculously high-class hotel. Might sound small-scale, but you’d be surprised just how much can go wrong when a wealthy family is part of the equation (spoiler: a lot!). This whole ordeal started with someone landing face-first on a police car from a hotel balcony and John McCoy – Erica’s partner at the bureau – calling with that mysterious message about ‘finishing up some old business’ at that very locale. But that’s just the beginning; the tip of the iceberg, as it were. Ain’t long before chaos emerges, the number of involved parties growing by the minute, making it more and more difficult to know who’s really trustworthy – supernatural powers or not. It’s quite fortune then, that while getting stuck is a possibility, there is no way for the player to actually get into an unwinnable or ‘game over’ state. There’s always some way or other to progress the plot, even if it means texting a friend for a hint or two; which is something I found myself doing quite a bit as the puzzles were simply too much to wrap my head around. Might have helped to use the in-game note-taking feature I suppose, but for whatever reason, I decided against it. Some detective I’d make, huh? In all seriousness though, once I figured out how to further the plot, the steps required made perfect sense at least. Speaking of… much as it pains me to admit, the story and characters made the experience significantly more enjoyable than the technical aspect of The Oracle, visuals overflowing with janky animations and facial textures being, well, not that great. As such, the fact that I was able to look past that and still enjoy trekking through one memory after another, courtesy of Erica’s spirited approach to detective work, certainly speaks volumes to the quality of the writing – and its delivery. I just wish the game had looked the part too, but alas, can’t have everything. Besides, choice given, I’ll take an immersive story with proper good dialogue any day, even if the visuals don’t quite match. During the three or so hours it took me to crack the case, not only did I learn a thing or two about Erica – series protagonist – and her ever-annoying boss, but also characters from earlier episodes, like, say Cordelia. Oh right, I did also do some darn good detective work of course! And invaded the privacy of more than a few people – or their memories, rather. Ah, good times. For the most part. There were moments that had me cringe and ever so slightly uncomfortable, but again, when the protagonist of a video game is an FBI agent… sometimes… you have to get your hands dirty. Really dirty. Cases don’t solve themselves after all, much as I feel Erica would have prefered that actually being a thing at this point. But unfortunately, in the end, wishful thinking is just that. All in all, story, dialogue, cleverly designed puzzle mechanics and supernatural twists – they all more than make up for any visual shortcomings in Cognition Episode 3: The Oracle. Much like its two precursors, quite the unique point ‘n click adventure, and one with an ending that managed to catch me completely off-guard. 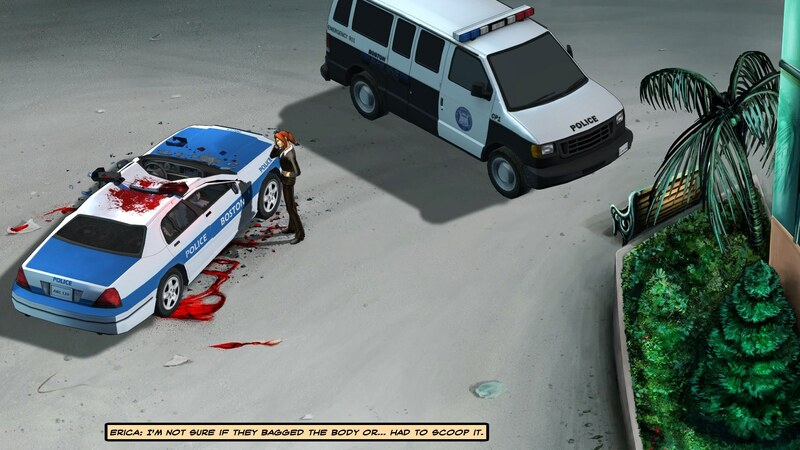 Ain’t over yet either, as the fourth and final episode of Cognition remains. Cognition Episode 3: The Oracle, bundled with every other, can be acquired either directly, or from Steam, GOG.com (reviewed), Humble Store, MacGameStore, Indiegala and Green Man Gaming, carrying a $14.99 price tag.